My Luxury Cab is a company which select all the chauffeurs who have the experiences of driving in Paris, mainly Taxis Drivers in Paris. The company regroup only the chauffeurs who still have a higher value. Knowing that many taxi driver today has lost the sense of service. My Luxury Cab has made a team which will build up again a trust between Clients and the Chauffeur. Please contact us for more infomation if you need. This is a leading European company dedicated to prestigious car hiring and chauffeured services. Founded in 2006, the company has continuously expanded its services and products throughout Europe. Our fleet, composed of 10 vehicles in 2006, includes nowadays more than 250 supercars and prestigious vehicles. Our agencies ( based in Cannes, Paris, Monaco and Hamburg) are located near the greatest resort hotels and the most important international airports, in order to ensure a high level of reactivity and flexibility in regards to our customers. We are committed to offering clients unique products, and delivering the highest standards of customer services. Our principals and values allow us to continually improve our business, and also place us as a leader in the luxury car rental market. Our goal: Provide triple A quality services by ensuring our clients' every need are satisfied to the fullest. 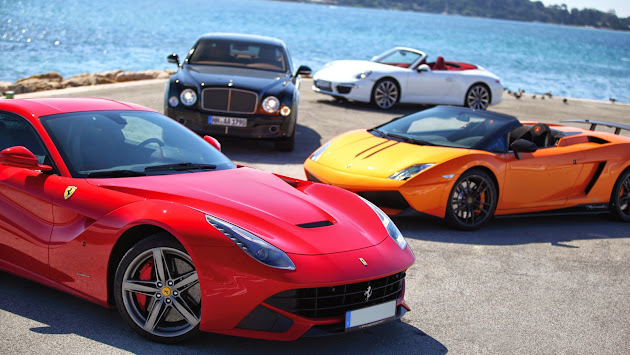 The company owns a large fleet of more than 250 luxury cars. Our experience in the car industry places us in a privileged position in regards to automakers. Thus, we only propose very recent car models and our fleet is constantly being renewed, making sure our clients are among the first to drive the very last luxurious cars available on the market. Our commitment to offer bespoke products leads us to propose weather-appropriate vehicles. Thereby, we own high-end SUVs fully equipped to brave the most snowy roads in Courchevel and Megeve for instance, as well as convertibles fit to enjoy the summer warmth in the French Riviera. engines , features and colors to meet every client needs. From the Jaguar F-Type to the Lamborghini Aventador, we offer a wide selection of supercars in many cities across Europe. 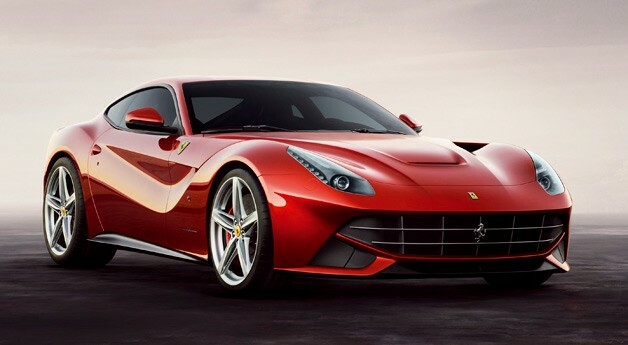 Our sports cars are are fully equipped and come with automatic and Semi-automatic Transmission such as F1 for Ferrari, PDK for Porsche and E-Gear for Lamborghini. 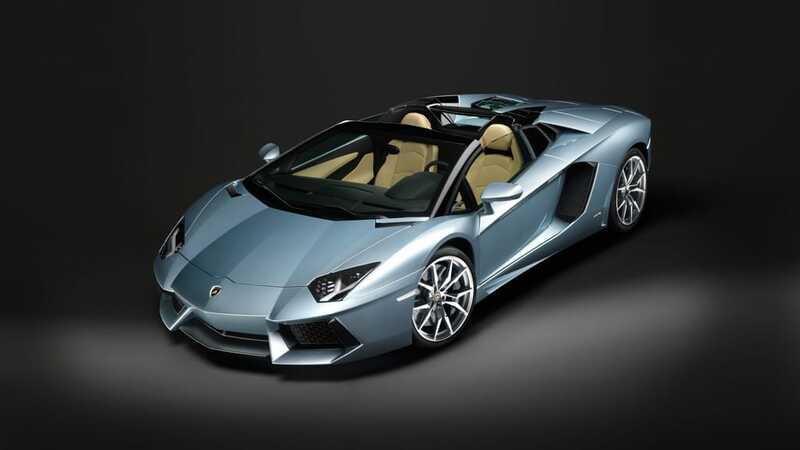 Additionally, the company provide the most beautiful cabriolets in Europe. From the Mini Cooper Cabriolet to the Rolls-Royce Drophead, we offer a wide range of convertible vehicles equipped with sport design packages such as AMG Design Package for Mercedes-Benz and M Sport Package for BMW, and different colors for almost all our cars. Meeting each client's requirements by offering the best driving experience is essential for our company. Spacious, comfortable, secure and high performance, we propose a large and diverse choice of SUV's that meet each client’s needs. Our fleet is composed of unique 4WD vehicles such as the Mercedes-Benz G 63 AMG and the Mercedes Speranza Mansory, available for hiring. Fully equipped for winter and snow, our selection of SUVs is proposed for renting in the most prestigious European ski resorts. The company offers also a large selection of luxury sedans with high-end equipments and features. Customers looking for a sport car able to accommodate their family or group of friends will be satisfied by our range of sport sedans. From the Mercedes E63 AMG to the Porsche Panamera GTS, we are once again the only car rental company to offer such versions for hiring in Europe. Our sport sedans are the perfect alliance of comfort and high performance. We offer our clients the best luxury car rental service by delivering the highest standards of customer service. Our exceptional fleet is available in our agencies, and can also be delivered to airports, hotels, villas and Yachts upon request. Our professional delivery team will make sure that the requested car arrives to customer doorstep anywhere in Europe. We pride ourselves on offering bespoke services to meet client’s personal and professional needs. Trained to be Car Rental Advisors, our reservation team will help you in selecting the right vehicle that meets your needs and budget. They are available to answer your questions 7 days a week. hours in order to satisfy each one of our clients. We also propose point-to-point transfer service for many destinations and airports in Europe. We offer special Airport transfers rates for groups, and we also organize shuttle services for events. We have a large and continuously renewed fleet with the most prestigious limousines, sedans, SUVs and Minivans. Our chauffeurs are highly experienced and multilingual. They offer an exceptional level of service with attention to details. They are also trained like local guides and provide customers with the best advice in regards to restaurants, shopping areas and places to visit in the region. Customers will enjoy their journey while being offered, newspapers, magazines and drinks in their vehicle. We also propose a VIP Meet & Greet service in many airports in Europe. Discovering the best regions in France and enjoying the diversity of cultural heritage. AAA Luxury offers the most informative and prestigious sightseeing tours to discover only the best of French regions. We propose to our customer complete cultural tours tailored to visit the most beautiful museums, castles and national monuments. We have highly experienced and qualified tour guides who speak several languages (English, Russian, Chinese, Arabic, Portuguese ...). They have specific geographical and cultural knowledge of visited sites and regions, and they provide an unforgettable experience by offering access to unusual places in the most beautiful sites in France. We offer a large choice of excursions and tours packages (half day, one day) and also "Bespoke" packages.